A stunning long line gown with woodland lace bodice flaring down to a princess sparkle underlay skirt. Complimented with straps that lead to an illusion back with lace edging. 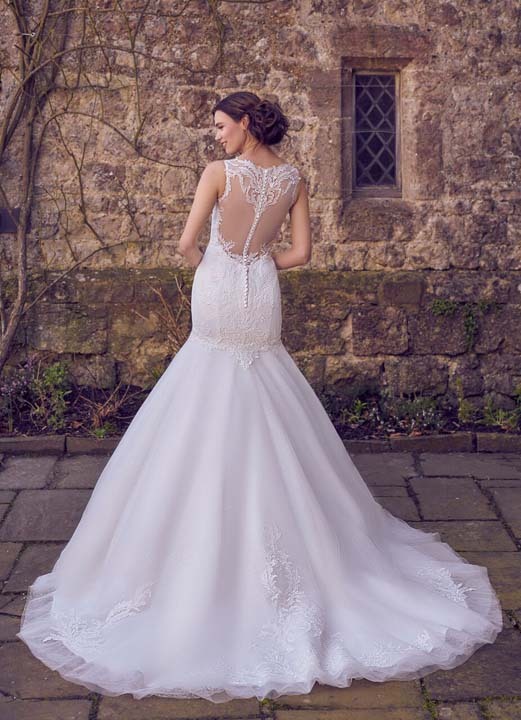 The button back detail draw the eye to the chapel length train.